When people hurt you over and over, think of them as sandpapers. They scratch and hurt you. 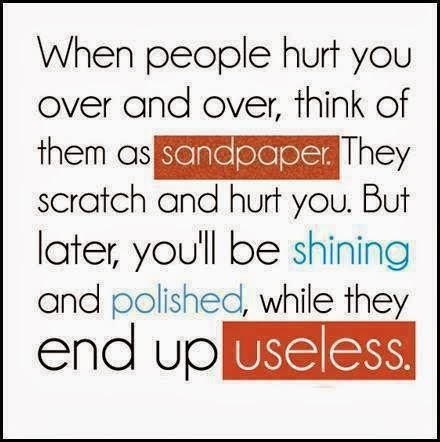 But later, you'll shining and polished while they end up useless.